If you like this blog, send it to 3 (or more) of your friends and encourage them to sign up. Let’s keep the conversation going! Europe when they lived in shtetls. One of my favorite Yiddish words is chutzpah. The word has taken on some positive connotations, but I’m using it here in the sense of the Hebrew source word, where it means someone who has overstepped the boundaries of accepted behavior with no shame. Chutzpah has the benefit of being both expressive, and relatively easy to pronounce, (unless you’re Michelle Bachmann). It is also a very apt description of the Susan G. Komen for the Cure Foundation’s recent move to sponsor October as Breast Cancer Action Month. A little background might help illuminate why this move is so outrageous. Back in the early 1980’s, with the help of the pharmaceutical giant now called Astra- Zeneca, Komen (then called the Susan G. Komen Foundation — “for the cure” came later) became the dominant voice in Breast Cancer Awareness Month, formerly known as October. The idea was to encourage women to get mammograms by promising, at least initially, that early detection was a woman’s best “prevention.” When it was pointed out that once you had detected something it was too late to prevent it, the message changed to guaranteeing that early detection was a woman’s best “protection,” though protection from what was never made clear. and mammography industries. Komen was — and is — closely tied to both. Thanks to the forces behind the BCAM effort, there was never any mention in the official BCAM materials of the possible environmental links to breast cancer. 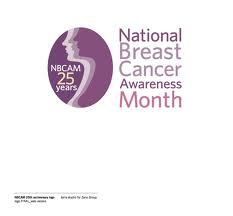 As a result October came to be known in more progressive health circles as Breast Cancer Industry Month. Breast Cancer Action (BCA), a national grassroots education and advocacy organization based in San Francisco, became a prominent voice working to re-cast October as Breast Cancer Industry Month. BCA was started in 1990 by women with metastatic breast cancer who knew they were going to die and that the public knew little or less about breast cancer. They had questions and they wanted answers. The messages offered by BCA for October moved far beyond mammography screening and the over-simplified messages associated with BCAM. They exposed the financial interests behind BCAM and urged an understanding of the complexity of “early detection” as well as acknowledgment of the environmental drivers of breast cancer, including radiation and pesticides (which Astra Zeneca marketed at the time). As the drum beat of breast cancer awareness reached deafening proportions, Breast Cancer Action encouraged people to look beyond awareness to what actions they could take by working together to stem the tide of breast cancer for everyone. Around the time that Breast Cancer Awareness Month came to the fore, Komen attempted unsuccessfully to trademark the pink ribbon, which was fast becoming the symbol of breast cancer. More recently, Komen changed it’s name to Susan G. Komen for the Cure Foundation and trademarked the phrase “for the cure.” Komen then began suing other organizations that used “for the cure” in their name or fundraising efforts, even those that had nothing to do with breast cancer. As of August, 2010, Komen had more trademark applications pending with the US Patent and Trade office (291) than Google (161). Breast Cancer Action holds two trademarks: on its name and on the name of its Think Before You Pink Campaign. One more bit of background information. 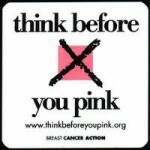 When the marketing of breast cancer through the sale of products with pink ribbons on them began to grow, Breast Cancer Action initiated in 2002 its award-winning Think Before You Pink Campaign. The purpose of the campaign is to get people to think critically about how the money is raised and where the money goes. The year Think Before You Pink was launched, a reporter from PR Week called asking why Breast Cancer Action had a campaign targeting Komen. The campaign targets cause marketing for breast cancer, not Komen. But the Komen Foundation has an interesting way of presenting — and apparently thinking of — itself as the only organization doing anything in the breast cancer world. It was clear then and as the campaign moved forward in succeeding years that Komen saw Think Before You Pink as undermining their mission. Now Komen Wants Action — Breast Cancer Action ?!?! It seems that Komen now agrees with BCA that there is enough awareness of breast cancer. After all, if you stop the first 10 adults you see in the street and ask if they are aware there is a breast cancer problem in this country and elsewhere, anyone who says “no” must be living under a rock. Komen wisely wants to move beyond awareness, but to what? 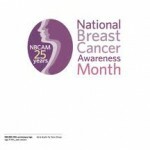 The claim they want to move to “breast cancer action month.” Has a familiar ring, right? It’s often said that imitation is he sincerest form of flattery, but sometimes it’s just a rip off. Why would Komen, one of the biggest charities in the world, want to usurp the name of an organization that’s been a thorn in their side for years? Let me think . . . While it’s conceivable that Komen just chose the words that they thought best suited their efforts, an organization that holds many trademarks and aggressively pursues them also has tons of lawyers at its disposal, and it should have crossed someone’s mind to consider the possibility that an organization named Breast Cancer Action held a trademark that would affect their effort. For Komen, action means getting a mammogram, buying product the sale of which supports Komen, or participating in a Race for the Cure or a 3-day walk. If walking — or shopping — cured breast cancer, it would surely be cured by now. Komen is entitled to its view of things, but not under the name of another — and very different — organization. If they want an even bigger empire, they should build it without stepping all over others in the field. P.S. The American Cancer Society gets an honorary award for chutzpah, for it’s “official sponsor of birthdays” campaign. With mortality rates from many cancers increasing, and with the focus on 5-year survival as a “cure,” the cancer society is making a bold and unsubstantiated claim. Alcoholics Anonymous has far more basis for claiming to be the official sponsor of birthdays. This entry was posted in Breast Cancer and tagged Alcoholics Anonymous, Astra Zeneca, Breast Cancer Awareness Month, Breast Cancer Industry Month, Brinker, Think Before You Pink, trademark.American Cancer Society. Bookmark the permalink. Right the heck on, sistah! 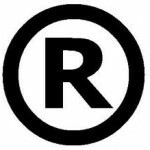 So what’s new other than swiping a trusted organizations’ trademarked name? Same tired old messages of screening, awareness, fundraising and something called “advocacy”. Advocacy for what? Mammograms, fundraising, and buying pink products? Too bad that when they stole Breast Cancer Action’s name, they didn’t steal their mission statement as well. With Komen’s financial muscle and BCA’s mission statement and organizational integrity, the new imagined version of Komen might actually get somewhere in the fight to ERADICATE and PREVENT breast cancer. Instead we’re just going to see yet another expensive rebranding effort and repackaging of the same tired old messages, now fitting around the word “action”. 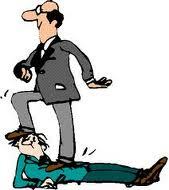 *Yawn* Wake me up when Komen decides to get serious. I love the word “Chutzpah” and Komen sure has a lot of trying to use Breast Cancer Action as the stepping stone over which they will climb to get what they want! I have always like the think before you pink campaign. I think that the pink washing with so much pink on so many products that it makes my head spin is totally wrong! I am a volunteer at the Women’s Cancer Resource Center in Oakland and the people who come into WCRC are looking for answers and resources and yes, we do have Swim A Mile, that is to keep our services free to anyone who comes in the door. With the economy as bad as it is, we may be seeing more people instead of fewer people. Keep up the good work. Barbara and Breast Cancer Action. Information is so important and vital to finding the cause and cure of all cancers, not just breast cancer. Thank you, again, for speaking truth to power; for saying it like it is; for still caring so much about the BC industry – oops, I mean men and women who will or have suffered – while living with your own current challenges. To say so much in so few words – hey, would you run for President of the USA??? Second thought: how can we advocates and activists make the press regarding this issue, or is there a plan by BCA to move front and center? Sure would like to hear some noise about THIS one !!! I say this for all and any people who read this blog: once again Barbara has established the challenge, and we need to make NOISE !!! Inquiring minds want to know about what BCA is doing, if it is doing something, to get Komen to stop using its trademarked name. Nice, clear summary of long history. Thanks Barbara. Reposting to fb. Now that is Chutzpah! Could it be that Komen has finally realized that the cancerrebels exist, are organized, and have hit a chord with a public that has been getting so bombarded with pink ribbon propaganda that they have grown fatigued? One thing for sure is that Komen’s re-languaging (if they get away with it legally) does not change the fact that symbolic gestures toward the eradication of a disease still do not constitute action. Action must be mindful, and mindfulness is something the Komen leadership lacks. It’s a shame. Komen’s “action” is what, now? The only action for the cure that Komen is implementing is stealing another organization’s name. This smells as bad as Komen’s perfume…. Komen has become a business, enough said. I would say “dickheads,” but in this context it somehow seems so … wrong. Give ‘em hell, Barbara. Ooops, and yeah: reposting like a mofo. What this all says to me is that the “mighty” Komen is starting to feel the rumblings. Komen could do the right thing and make meaningful changes, but instead it chooses to act like the bully on the playground, taking what it wants from others (like BCA) to suit its own agenda, which sadly seems more about selling than curing or preventing. Is there a way of posting this article on Facebook? I’d like to tell my friends (some of whom walked– I didn’t have the heart to tell them how useless it was) about Komen’s latest strategy. And isn’t the word “theft”? It’s interesting how power corrupts. I’m sure Nancy Brinker started out wanting to honor her sister, and help – but look what’s happened. Komen is now synonymous – for a lot of us – with lying marketeers. I bet her sister would be on the side of us – those of us with breast cancer – her true sistahs. living the stage IV lifestyle. It is hard to imagine an organization that, I believe, set out to do good, could have gone so far astray. The very idea that they could use a dime of my money to fight copyright lawsuits, and THEN infringe on another makes me sick. Perhaps another helpful word: NARRISHKEIT (foolishness, garbage, nonsense). Barb, as always thoughtfully, clearly, articulately put…your’e fighting the good fight, and you’re not alone! You ought to write for Reader’s Digest because you possess the amazing ability to condense a long story into a concise well-told tale. We shouldn’t be shocked by Komen’s most recent behavior, but ready to fight back. Having sat in on a meeting or two with you Barbara and experiencing first hand your inspiring presence when it comes to standing up to power, I find it ironic that so shortly after your retirement from BCA Komen makes such an audacious foray into BCA’s galaxy! They better hang on for a helluva ride. great analysis. Hope it gets the wide circulation it deserves. Chutzpah indeed. I hope BCA gives them a taste of their own trademark medicine. I posted this story below with a link to your blog on my site, plus it will appear in patch.com. Hope to create some awareness to the issue. The post is within reality the truly great for this worthy subject. I match together with your conclusions and looking out forward for ones coming updates. Just saying many thanks won’t you have to be enough, to the wonderful clarity with your writing. I’ve grabbed your feed to keep informed of any updates. 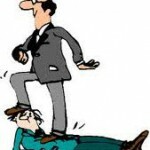 Gratifying work and achievement with your business dealings! I feel saddened by the article but not supprised as I have heard it all before and have not supported Komen in any way in many years. I am a survivor of ovarian cancer and have the gene which can later cause me to get breast cancer. My aunt is battling breast cancer now and a few years ago I lost my beloved Grandmother to it as well as another aunt who died over 10 years ago at the age of 32. It would seem with all the money Komen is spending on trade marks; advertisments; arguments; marketing and lawyers that we would be close to a cure. Well; mabey if they had spent more money on reserch for a cure we would be. The lives of women and the loss we have all felt due to breast cancer should be held in much higher regard then to profit off of. That is what Komen is doing right? They take our money for a “cure” and we still get sick, still battle cancer and in some cases we die yet no cure dispite the obious millions if not more money people have donated to the foundation for the reserch not for lawyers and patents. Who cares who is fighting under which banner? I AM FIGHTING; MY FAMILY IS FIGHTING; WE ARE ALL FIGHTING; HOPEING AND PRAYING FOR A CURE NOT SOME LEAGAL BATTLE AND MARKETING! How many more women must die before they see thay profits are not worth the life of a loved one, that ego is not worth more then a cure. WE ARE IN IT TOGETHER so stop fighting seperate. I pray every day that my 15 year old son wont have to tell the story of his mom who had brest cancer, that my family will give no more lives to it but that will only happen when we get a cure. I dont want a pink ribbon, I want myself; my family; my sisters; my nieces; my mother; my aunt and every woman on the planet to NEVER fear the desiese ageain. I want a cure.